How do I create new Paragraph Styles? 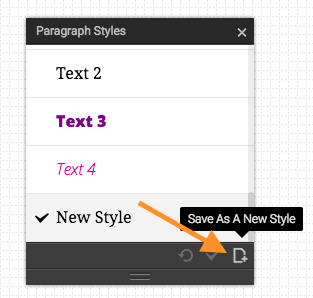 Learn how to create new paragraph styles. 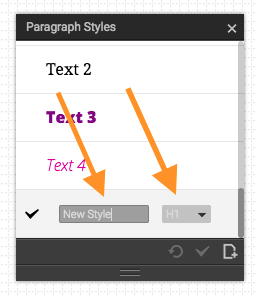 To add a new Paragraph Style click on the + icon in the lower right corner of the Paragraph Styles window. This will take any changes you made to the current Style and transfer them to a NEW style in your list. Once created, you will be able to rename the Style as well as set the H Tag. Click enter on your keyboard to save!